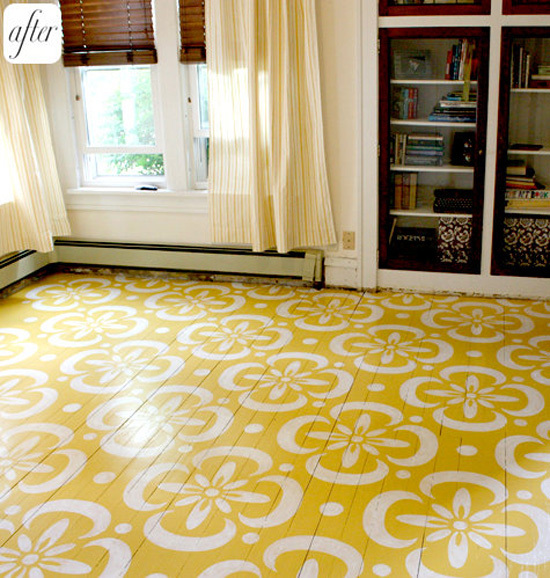 Tired of the same old flooring options? I'll admit, when I first heard of this concept it seemed a little crazy. 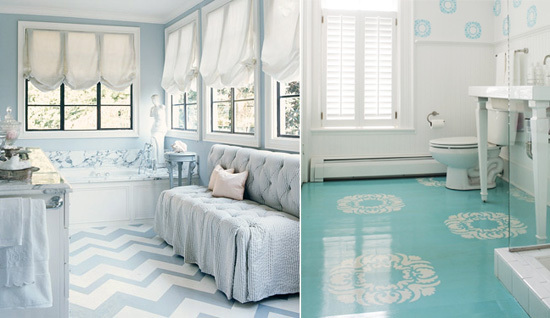 But, I have come across some beautiful painted floor designs that have really blown me away. What a unique and creative way to add a bit of character and color to your space! 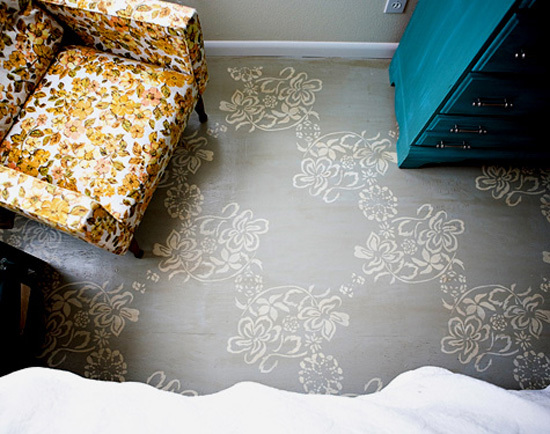 Many of these floors were painted with a base color coat, and then a more intricate design was simply stenciled over the top. I'm not sure exactly how to process works, but fortunately Design Sponge has provided a great tutorial for all who are interested to learn! Great ideas! Love the look.